This mural located at the corner of 4th & Davies has two life sized springboard loggers on the side of the building. This is a prime example of the type of logging that was done in the past. 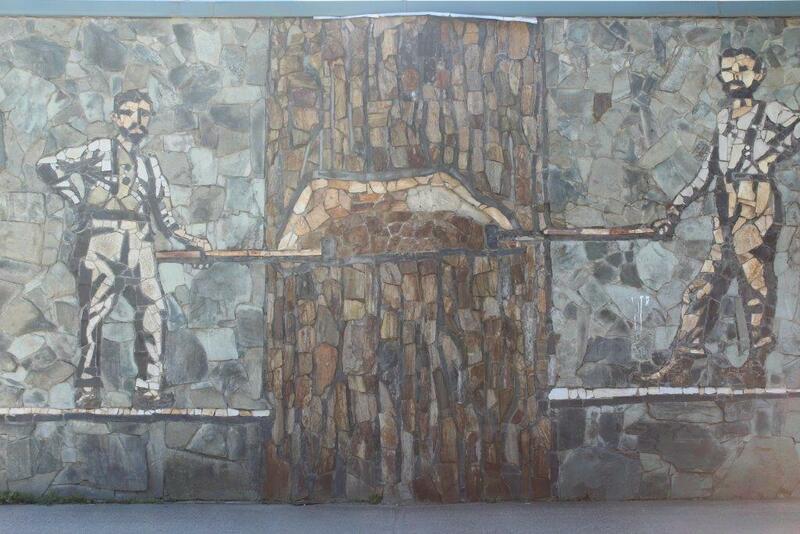 This mural, created in 1990, was the first project of the Kootenay Stone Masonry Training Institute. The laundromat features a larger than life Grizzly Bear. Grizzly Bears are very common in this area and can often be seen in the wild. Unfortunately there aren’t as many Grizzly Bears around now due to overhunting. 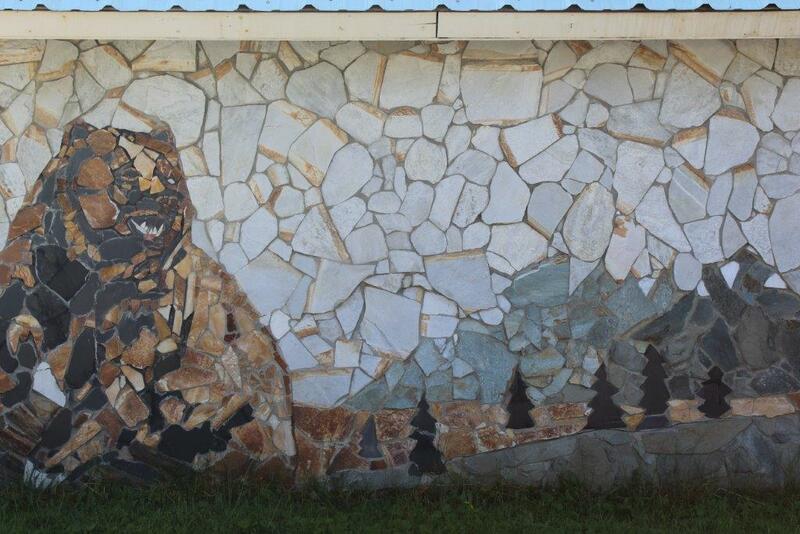 This mural, constructed in in November 1990, was the second project of the Kootenay Stone Masonry Institute. 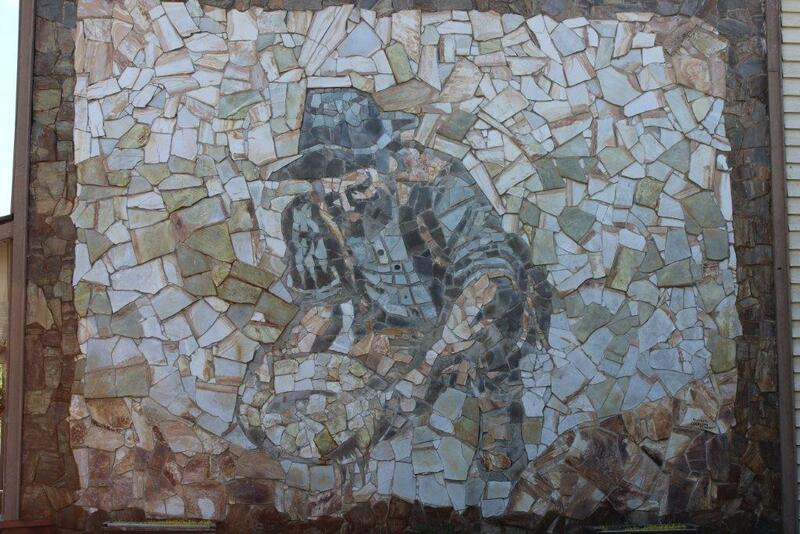 On the back of the museum there is a 22′ by 28′ mural of a placer miner. This was the first mural to be completed in town. The construction was part of a government funded project prior to the Kootenay Stone Masonry Institute projects. This mural is also part of a mining exhibit complete with a cabin and a push cart and rail. 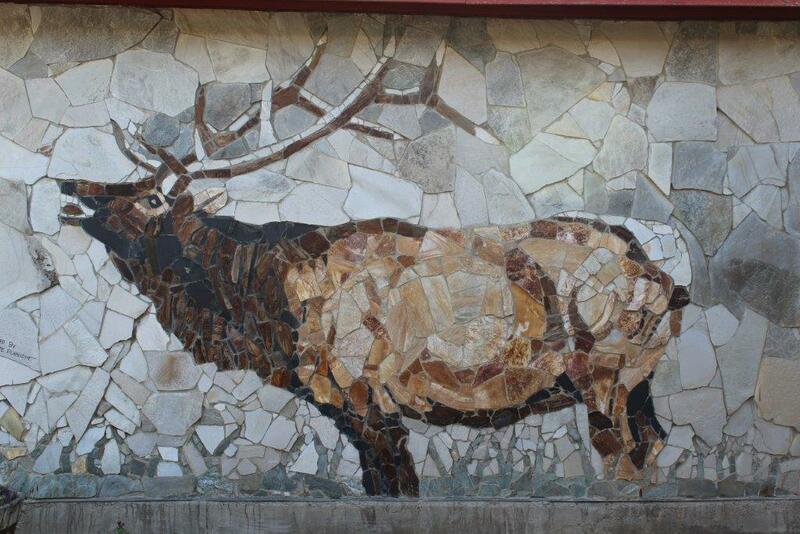 Salmo Community Services has two bighorn sheep on one side of the building and an elk on the other side. Both animals are very common in Salmo and the surrounding area. The mural on the back side of the Salmo Hotel has two miners on it. 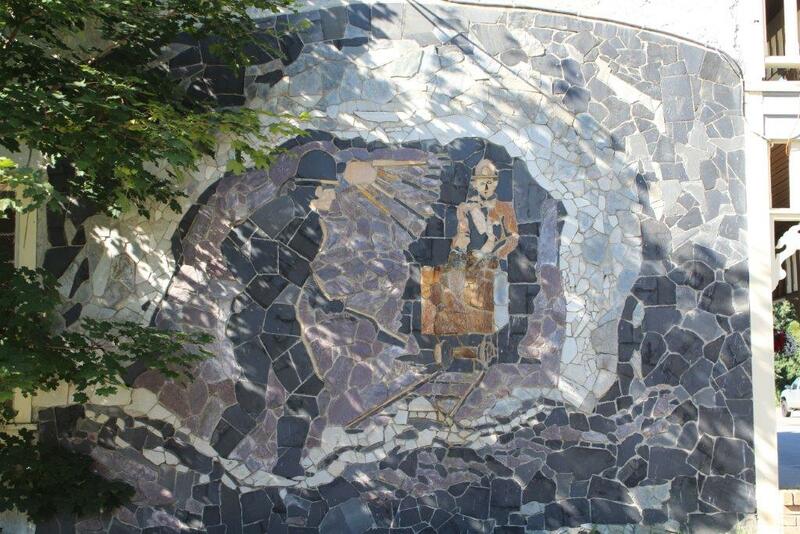 The mural gives a good impression of mining as it was in this area in the 19th and 20th centuries. The rock in the ore cart is actually real ore that was donated by Maxine & Doug Lukey. This mural was completed in May.